The IMDEA Software Institute is always looking for exceptional Postdoctoral researchers. For more details about what we are working on check our research page, or visit the home pages of the institute's faculty. Candidates should have a PhD in Computer Science or a related area and a promising publication record, and an agenda of research interests in topics related to the Institute. The working language of the Institute is English. Full command of the English language is required. Postdoctoral Positions last a maximum of four years. Salaries at IMDEA Software are competitive internationally. Contracts include access to an excellent public health care system, unemployment benefits, and retirement benefits. Qualified candidates should apply online using the secure application form, and selecting the appropriate position. Candidates must fill out the application form and upload an up to date CV, a research statement, and providing the contact data of at least three references. Applications can be sent at any time, without cut-off dates. 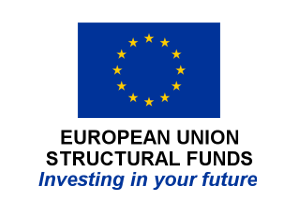 Search and selection procedures follow the recommendations of the European Charter for Researchers.